Horses exhibit a wide variety of coat colours, from very common to very rare. This, the second in a three-article series on equine coat colour, will show and explain some of the less common colours. 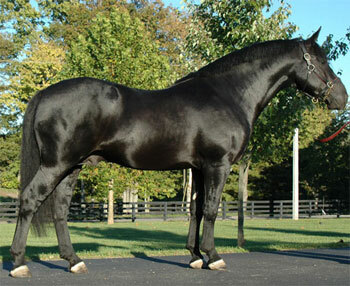 Black horses are uncommon, though would not be called rare. True black horses have dark brown eyes, black skin, and wholly-black hair coats without any areas of permanently reddish or brownish hair. They may have pink skin beneath any white markings or blue eyes if markings occur around the eye area. Most black horses fade in the sun, though theya re still considered black. Black horses that do not fade are known as 'sheer' or 'non-fading'. Brindle is a very rare stripy colouring, possibly linked to chimerism. 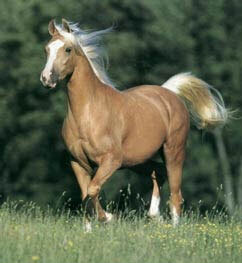 Buckskin horses are bay with a 'cream gene'. A cream gene is a genetic factor which lightens the colour of the coat (we'll see more of it below). 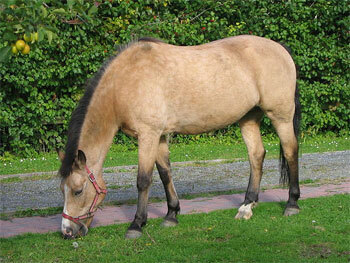 In the case of a buckskin it lightens or 'dilutes' the colour whilst the points stay black. Cremello horses are chestnuts with two copies of the cream gene that dilute their coat so much that they are a light tan colour, almost white. Dun factors affect horse colour by introducing aspects of ancient hrose markings such as darker mane and tail, dorsal stripe and faint zebra markings. 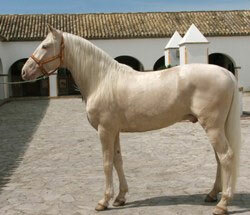 A black dun is called 'grulla', 'grullo' or 'blue dun'. Chesnut duns are called 'red dun'. Bay duns are the classic colour and are just called 'dun' or sometimes 'zebra dun'. Horses with cream gens can also have dun factors. Leopard spotting is the general term for all types off spotting. There can be few or many spots, and these often grow in number and size as the horse ages. 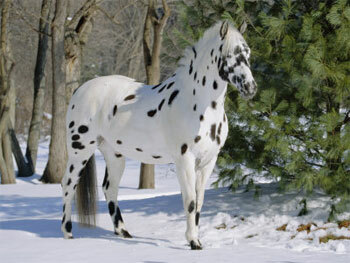 Appaloosa is a famous leopard breed. Palomino is a chestnut horse with one copy of the cream gene which results in a golden or yellow coat with lighter flaxen mane and tail. The gold can vary from very light, almost cremello, to a very dark chocolaty gold, but the mane and tail are always lighter. 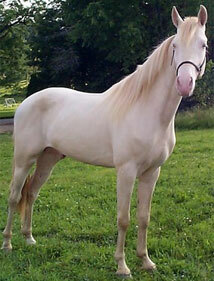 Perlino is like cremello, but this time it is a bay horse with two copies of the cream gene resulting in a cremello colour horse, sometimes with a red or rusty tinge. The points are no longer black but are darker then the rest of the horse. Skewbald: Either a spotting pattern of white and non-black, or a spotting pattern of white and any two other colours (including black). Overo: Can be complicated to define but usually consists of irregular patterns of a light colour on a darker colour horse. Sabino: White belly spots, leg markings and face markings. 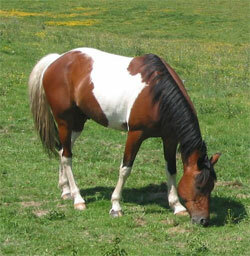 Tobiano: Large round markings, white legs, white accross the back and often vertical face markings. Tovero: Mix of Tobiano and Overo. 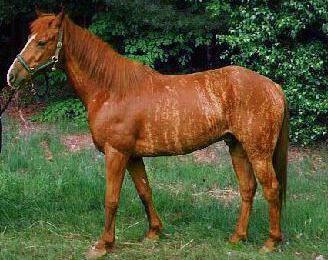 Paint Horse: Type of breed determined by paint markings, usually consisting of quarter horses and thoroughbreds. White is one of the rarest colours and have white hair and unpigmented skin. These horses are born white and stay their whole life. 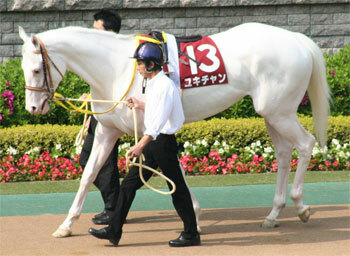 Many horses that look white are in fact greys with very light coats. This article presented some of the non-common horse colours. 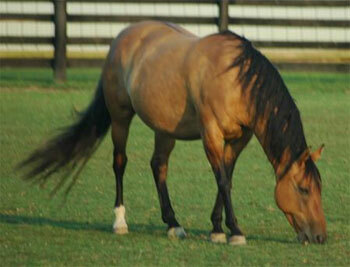 The next article will show how a horse gets a colour by explaining the gentics behind equine coat colour.